Lower extremity practitioners have used static pressure measurements for decades to guide the fabrication of foot orthoses. 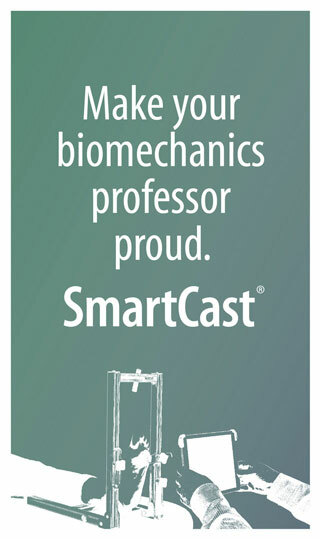 Dynamic measurement systems now gather plantar pressure data while the patient is walking; this offers clinicians a more sophisticated evaluation of gait biomechanics, as well as an opportunity to make more appropriate orthoses and adjust them based on real-time performance. And although dynamic systems have yet to gain wide acceptance in clinical practice, their increasing use in research is pushing them into the offices of practitioners who can no longer ignore the obvious advantages they offer. Dynamic systems take two basic forms: a mat that patients walk across barefoot, or in-shoe devices that can measure the effect of a shoe or orthosis on plantar pressures. Each approach has its own strengths, and in fact some clinicians are concluding that using them together may be the best option of all. Cavanagh explained that almost all diabetic insoles today are made on the basis of foot shape only. 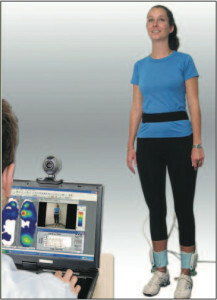 Images courtesy of The Orthotic Group. Cavanagh is one of the founders of a company that seeks to develop a new approach to the development of therapeutic insoles based on dynamic pressure measurements. 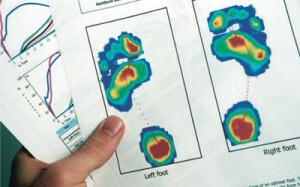 In 2008 he and several colleagues reported in Diabetes Care that, compared with custom insoles based only on shape, those designed to take both shape and pressure data into account resulted in better offloading of high-pressure areas.4 On average, peak pressure was reduced by 32% and 21%, and force-time integral in the regions of elevated peak pressure was reduced by 40% and 34%, compared with two different insoles made based on foot shape alone. The authors noted that pressure reduction was achieved by a greater load transfer to the midfoot—not typically a site of diabetic foot ulceration—without additional loading of forefoot structures. At the Southern Arizona Limb Salvage Alliance (SALSA) in Tucson, clinicians use a DIPS to determine whether orthoses and surgical procedures have had the desired effect. According to SALSA co-director Joseph L. Mills, MD, before dynamic measurements were available it was common for diabetes patients to develop a new ulcer in the area to which pressure was redirected. Dynamic pressure measurement has gained a following among sports medicine practitioners as well. 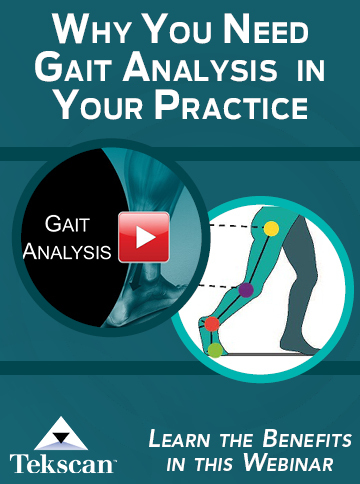 It provides a more accurate way to assess the gait kinetics and kinematics that affect performance and risk of injury, and to evaluate the orthoses that result from those assessments. For example, in 2008, U.K. researchers conducted a study in which subjects ran barefoot over a force plate and were prescribed orthoses based on the data collected. They repeated the assessment using neutral shoes, then did so again after custom orthoses were added to the shoes.5 The scientists reported that the orthoses resulted in a significantly more lateral concentration of pressure, which was consistent with the kinematic finding that the orthoses significantly increased initial inversion angle. The orthoses were also associated with reduced peak rearfoot eversion and eversion velocity and increased peak ankle and initial dorsiflexion angles. In-shoe systems increase the level of evaluation still further. A 2007 article in the Journal of the American Podiatric Medical Association (JAPMA) described the use of a DIPS to analyze athletes’ foot and lower-extremity function before and after treatment with custom orthoses, with a focus on sagittal plane biomechanics. The aim was to identify functional asymmetries that could lead to gait-related pathologies, use the data to fabricate corrective orthoses, then assess those orthoses’ effects.6 Four illustrative cases were presented. For example, Williams explained, a delay in transfer of force once the runner begins to lift the heel may indicate an unstable midfoot or a functional hallux limitus. Williams particularly values information about center of pressure and force-time curves. The case studies cited in Williams’ article are compelling, to say the least. Four athletes with longstanding injuries and pain syndromes reported complete alleviation of symptoms within weeks. Researchers and clinicians using in-shoe systems to evaluate and modify orthoses report similarly encouraging results. In one study, researchers used a DIPS to assess the effect of differently designed orthoses on the initiation of plantar surface loading.7 They found that rigid orthoses alter the timing of medial forefoot loading during walking, whereas soft orthoses permitted a more normal forefoot-to-hindfoot movement pattern. In another study, scientists used a DIPS as part of their assessment of the effects of over-the-counter (OTC) foot orthoses. 8 Radiographic measurements suggested that the orthoses were effective in changing foot shape, which was associated with relief of conditions including hallux valgus pain, arch pain, and back pain. The researchers used the DIPS to assess center of pressure variability during a postural stability test and found that stability improved with the orthoses, although that finding was not statistically significant. Landsman acknowledged that dynamic measurement systems have not gained wider use in clinical practice partly because the assessments are time consuming and insurance companies usually won’t pay for them. Nevertheless, he does use the technology to confirm that he has unloaded an ulcer site in a patient with diabetes, or to assess how orthoses are redistributing pressure when he has watched patients walk and remains uncertain about what’s happening biomechanically. James Hackney, PT, PhD, an assistant professor of physical therapy at Missouri State University in Springfield and one of the article’s coauthors, told LER that although he is primarily a researcher, the study was undertaken at the urging of clinicians who were trying to discover the most efficacious ways to help their patients. Hackney and his colleagues measured a couple of dependent variables. “The change in pressure as a result of treatment we could measure immediately,” he said. Later, at an average follow-up of 38.2 days, they measured outcomes using the 88-point Lower Extremity Functional Scale. “At that point, we found that the scale improved by 13.3 points, which was quite significant,” he said. The availability of DIPS has encouraged clinicians and researchers to consider how it might augment other technologies. At the Medical College of Wisconsin, for example, scientists have wedded DIPS results to 3-D data from CT scans, then incorporated the results into a CAD rapid prototyping machine, using proprietary software they have developed. The result is a quickly produced custom orthosis. To develop the technology, project leader Xue-Cheng Liu, MD, PhD, collaborated with Robert Rizza, PhD, of the Milwaukee School of Engineering. So far they have used the approach to manufacture orthoses for a small number of children with idiopathic clubfoot. At Baylor College of Medicine in Houston, Jeffrey Ross, DPM, MD, has developed a unique approach to assessing the risk of lower-extremity injury to obese children attending a weight-loss summer camp. Ross, an assistant clinical professor of medicine at Baylor and chief of the diabetic foot clinic at Houston’s Ben Taub Hospital, realized that children more prone to injury were less likely to be able to complete the exercise programs designed to help them lose weight. The assessments would ideally be used to provide orthoses or other interventions for the children at highest risk before they came to camp. Beyond that, however, is the consideration that as they grow into adulthood, people who were obese as children are much more likely to need total hip and knee replacements, or have collapsed, pronated feet and other problems. The diabetes part of the equation goes without saying. “This has tremendous implications not only in podiatry, but for how we recognize and prevent lower extremity injuries in obese children in the future,” Ross said. For such screening, Ross prefers a pressure mat to an in-shoe system. This suggests a possible synthesis, he said; clinicians might do initial screening and assessments using a mat, then evaluate the effectiveness of orthoses with in-shoe devices. It seems inevitable that DIPS will follow the typical pattern associated with research technology and become common in clinical practice. How quickly this happens depends on factors that include reimbursement, clinician awareness, and consumer demand. Regardless, it’s clear that the approach will offer increasing advantages over static measurements in a variety of fields including diabetic foot care, athletic training, and pediatrics. Patients, who will find themselves leading more active and pain-free lives, have the most to gain. 1. Birke JA, Foto JG, Pfiefer LA. Effect of orthosis material hardness on walking pressure in high-risk diabetes patients. JPO 1999;11(2):43-46. 2. Burnfield JM, Few CD, Whitney JA, et al. Influence of Pedar-based insert modifications on walking plantar pressures in persons with diabetes mellitus. Presented at the ninth annual meeting of the Gait and Clinical Movement Analysis Society, Lexington, KY, April 2004. 3. Owings TM, Apelqvist J, Stenstrom A, et al. Plantar pressures in diabetic patients with foot ulcers which have remained healed. Diabet Med 2009;26(11):1141-1146. 5. Dixon SJ, McNally K. Influence of orthotic devices prescribed using pressure data on lower extremity kinematics and pressures beneath the shoe during running. Clin Biomech 2008;23(5):593-600. 6. Williams BE, Yakel JD. Clinical uses of in-shoe pressure analysis in podiatric sports medicine. J Am Podiatr Med Assoc 2007;97(1):49-58. 7. Cornwall M, McPoil T. The effect of foot orthotics on the initiation of plantar surface loading. Clin Biomech 1997;12(3):S4. 8. Landsman A, Defronzo D, Anderson J, Roukis T. Scientific assessment of over-the-counter foot orthoses to determine their effects on pain, balance, and foot deformities. J Am Podiatr Med Assoc 2009; 99(3):206-215. 9. Hackney JM, Hunt GC, Lerche FF, et al. An external shoe modification for reducing metatarsal head pressure in people with metatarsalgia. JPO 2010;22(1):37-42. 10. Ross J. Predicting overuse lower-extremity injuries in a two-week camp program for overweight and obese children utilizing computerized gait analysis and biomechanical screening: a randomized, controlled study. Presented at the annual meeting of the American Podiatric Medical Association, Seattle, July 2010. Thank you for publishing this article. In shoe sensor pressure systems such as the one you discuss in this article are incredibly valuable. We have been using an in-shoe sensor system for many years and as a result, we have had tremendous success treating a wide variety of foot and ankle related issues. As your article points out, using this system allows clinicians to prescribe the correct orthotic interventions and then VALIDATE them. Validation is just one aspect that is missing in many areas treating patients with foot and ankle pathologies. With insurance companies demanding more evidence based treatments, it has given our clinic and doctors an edge. We have found great success treating diabetic patients to off-load ulcer sites or prevent them. We see many athletes of all ages and activities. It allows us to determine the need for orthotic intervention and / or verify mechanical deficiencies. This system is not widely used and I’m not sure why. Because of this technology we are able to effectively treat patients and often times prevent costly and unnecessary surgeries. One thing I would also like to point out is how much it aids us to educate the patient. They are able to see immediate feedback. Another aspect that is often over-looked is the effects of gait retraining. The orthotic is a useful device, but only if it is prescribed and USED correctly. Even the best orthotic can be ineffective the patient doesn’t know how to use it. Often they require gait retraining to have a truly positive outcomes. This is due to a variety of factors including excessive sub-talar joint instability, structural insufficiencies, muscle imbalances from poor gait mechanics. The in-shoe sensor system allows us to bring it all together to get outstanding results. 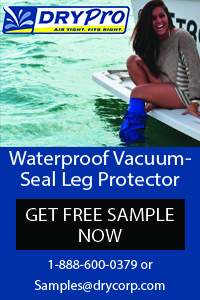 It has been an invaluable tool in treating our wide range of patients. What stimulated us to generate these comments was the reading of the article by Cary Groner about DIPS (Dynamic in-shoe pressure-measurement system). It was concerning that the clinician will “jump’ to using this device rather than examining the patient’s foot. 1. The patient has clawed toes with secondary retraction of the toes dorsally and proximally on the forefoot; this is confirmed by the “hidden crease” sign, i.e. the clawing of the toes obliterates viewing of the plantar creases of the toes. 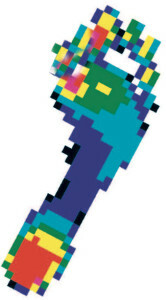 The clawing and dorsal subluxations of the toes subject the feet to plantarward stresses on the metatarsal heads—probably aggravated dynamically (with walking) and is the prevailing etiology for malperforans ulcers under the metatarsal heads and ulcerations over the flexion contracted proximal interphalangeal joints. 2. The second toes are hyperextended at the metatarsalphalangeal joints, and again probably aggravated with walking (dynamic action). This leads to ulcerations over the distal ends of the toes and toenails with shoe wear. 3. The patient has lost his/her plantar arches—and with standing may well hyperpronate her feet. This suggests poster tibial tendon disease is present and requires appropriate orthotics for management of the initial stages of this problem. 4. The lateral borders of the feet are convex. These changes may be due to associated Charcot arthropathy of the feet or metatarsus adductus deformtiy. This dictates that specially fitted footwear to accommodate and provide adequate support for the deformities is required. 5. The absence of calluses under the metatarsal heads at this point in the patient’s course tell me that the soft tissue padding of her fore feet are accommodating the added stresses of the clawed and hyperextended toes OK. Quality shoes to accommodate the shape of her feet and the deformed toes (with or without extra-depth padded inserts) are probably all that is needed at this time. 6. There is mild hallux valgus deformity of both feet. This can be managed with properly fitted supportive footwear, toe spacers, bunion splinting or orthotic inserts. In more advanced deformity with pain, surgery is indicated. 7. The excellent condition of the skin (no scaling, fissures & desquamation) and pink coloration tell me the patient takes excellent care of her feet and fortunately has good perfusion to the feet. The patient needs to be complimented for this and told to “keep up the good work”. We appreciate the opportunity to share our observations and recommendations with the readers of LER. Is this available in the Ann Arbor Mi. area?